The RVI Used Vehicle Price Index (RVI UVPI) calculates the retained value of used vehicle prices at auction over time. Sample: All light weight vehicles (not including heavy commercial vehicles or motorcycles) from 1996 to the present. Eliminate outliers: Vehicles that have extremely high mileage, MSRPs or sale prices are eliminated, as are all vehicles with negative or unlisted mileage, MSRPs or sale prices. Sale Price Adjusted for Mileage and Seasonality: Each vehicle’s sales price is adjusted to reflect what the sale price would have been if the vehicle had been sold in March and had the typical mileage for the vehicle’s age. Retention Values: Each vehicle’s mileage and seasonally adjusted sale price is divided by the vehicle’s MSRP to determine its retention value. This controls for inflation. Fixed-Vehicle pool: Vehicle prices are aggregated to the age, market segment and brand-level, then sales weights are applied. Sales weights are generated by reviewing the unit volume of vehicles sold from 2004-to-2015 by vehicle age, segment and brand. This controls for fluctuations in the Index due to variations in age, segment and makes. 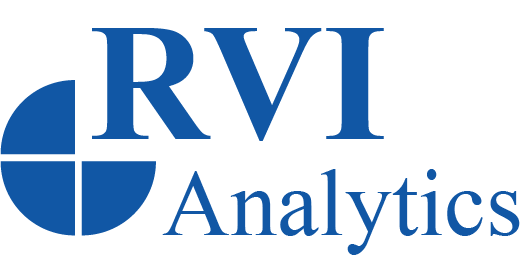 Multi-Level Index: RVI generates indices at the market level as well as the age, segment, brand or any combination therein. Prices are mileage adjusted and seasonally adjusted first Prices are mileage adjusted and seasonally adjusted first. Seasonal adjustment differs by age and segment of the vehicleSeasonal adjustment differs by age and segment of the vehicle. Index uses retention value (sale price/ MSRP) instead of sale price only. Vehicles are grouped by age, brand and segment and then aggregated. Vehicles are aggregated using simple sales weights. Sales weights are obtained for the sales years 2004-2010. Removes variation in each vehicle's sale price due to mileage or sales month. Some segments are more sensitive to seasonality than others. Vehicle age, brand and segment mix is constant through economic booms and recessions. The vehicles with a larger sales volume at the auction have a larger impact on the Index. Contains consumer behavior in economic booms and recessions.